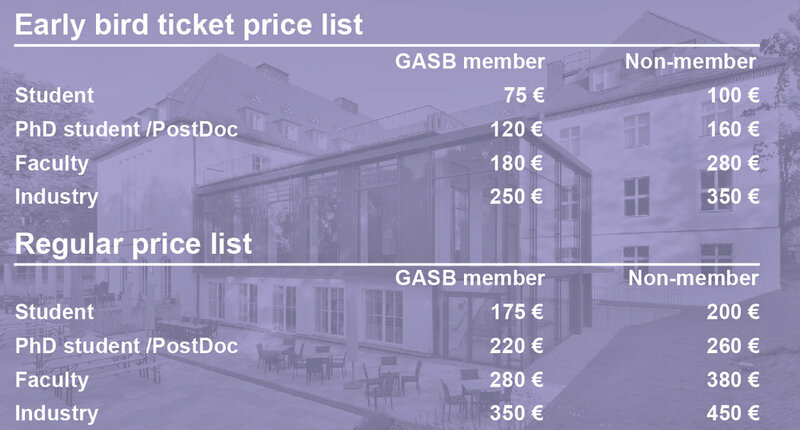 To attend the GASB II conference please enter your details below. If you plan to present your work in a poster, please submit your abstract. The deadline for abstract submission is the 31st of August. Your abstract will only be considered after you purchase a ticket for the conference. The first 100 registrations get a reduced early bird price! In order to proceed with registration, please select your tickets. By clicking "next" you will be redirected to the checkout where you can enter your billing information and make dietary requests. Payments are possible ONLY by credit/ debit card or Paypal.